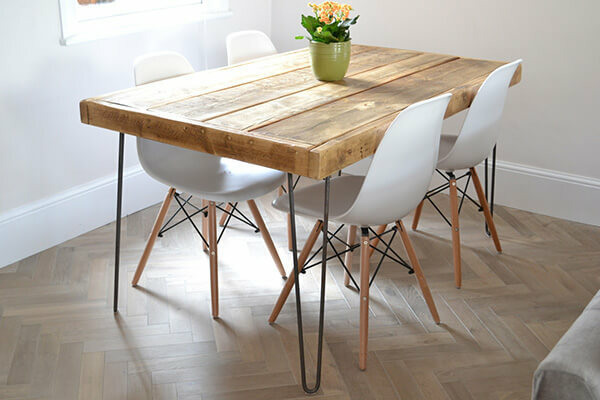 The return of the 1960’s parquet floor bringing back memories to some of their old-school gymnasium or their Aunties house in southern France, this once dated style has seen a huge upturn in demand and is now seen as a Chabby-Chic alternative. 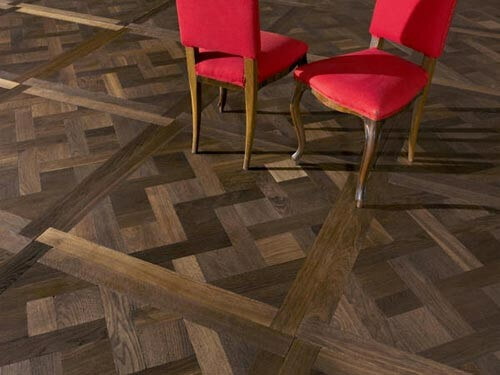 Parquet flooring was first developed in France in 1684 and was used to replace the marble flooring of banqueting halls and manor houses. It was a floor covering for the elite and is still used in the most prestigious of modern interior design and architecture projects, but these days any of us can experience the beauty of parquet for ourselves. 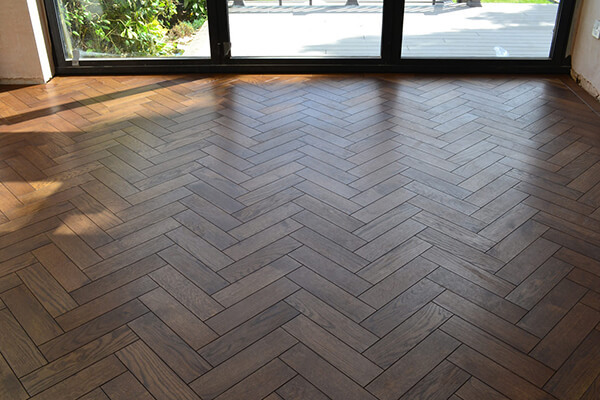 Parquet flooring continues to be a huge trend. This versatile, stylish patterned flooring is now a go-to option for our clients seeking that “wow factor” for their homes. 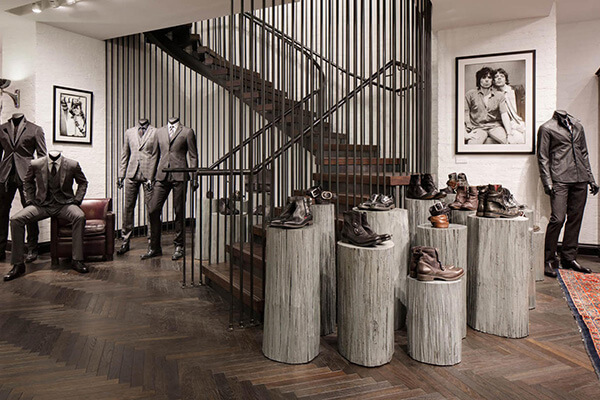 This year we have seen many of our clients seeking bespoke sizes and finishes. Very on-trend this year are aged and distressed floors that feature a worn look to add bags of character to the appearance of a newly laid floor. both an urban project as well as a country styled cottage. Clients are looking for colour contrasts between their furniture, décor and flooring is the number one way to achieve it. In going for aged smoked Oak and light décor and light as seen in our recent project. Or for a modern look, Lighter colours like Slate Grey can be used to make the space feel clean and elegant. 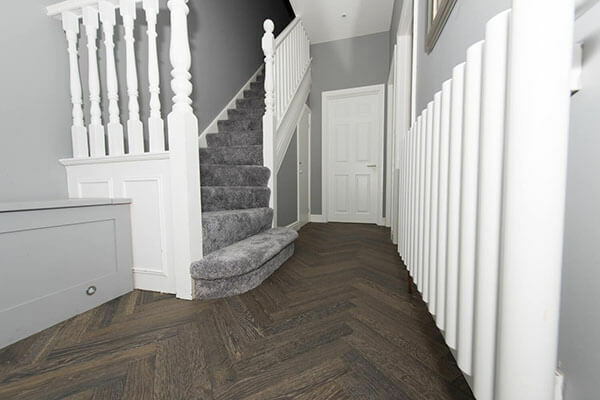 Over time, modern parquet flooring has evolved from the traditional old Victorian sized Herringbone which is typically between 70-80mm width by 300-350mm length to a more modern design take. With dimensions ranging from 100-200mm by 600-650mm. This is known as an “oversized” Herringbone block.